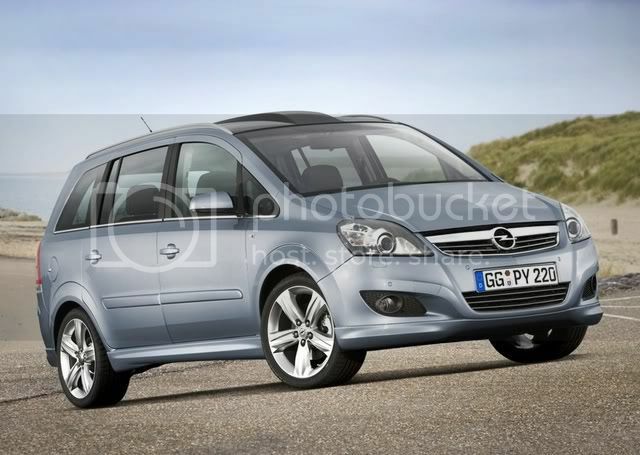 With fresh design accents and three additional engines, the new Opel Zafira will be available at dealerships from February 2008. The Zafira’s striking looks communicate dynamics and self-confidence. Its 1.6-liter gasoline and two 1.7-litre CDTI engines embody the current trends: powerful, economical and affordable. This all puts the Opel compact van in an excellent position to continue the success story of the world’s first fully versatile seven-seater, which will see its two millionth unit rolling off the assembly line early next year. Following the introduction of the second generation in mid-2005, this Zafira also belongs to the top of its vehicle class with over 450,000 units sold and around ten percent market share in Europe. The new edition of the bestseller makes its world premiere at the Bologna Motor Show (December 7 - 16, 2007). Alain Visser, Chief Marketing Officer of GM Europe, describes the new Zafira as “the right offer at the right time. We know that customers are very satisfied with its quality, reliability, functionality and versatility. And now we’ve made the Zafira even sportier and equipped it with more efficient engines. This all keeps the Zafira in benchmark position in the European compact MPV class. The new Zafira is characterized by striking front and rear design elements that give the car a sporty note. The confident wide front chrome beam with integrated Opel logo takes the hood tapering and draws it into the two-part radiator grille fins, which are now fully chromed. The distinctive lines around the fog lamp recesses also integrate the bumper into the dynamic V-styling; headlamp housings are also in chrome-look. The Zafira Sport boasts an even more impressive look with its bold, full front lip. The resulting sweep continues from the flared wheelarches, over the side sills to the pronounced rear apron. Other new eye-catching features include two transparent 3-D cells in the red tail lamps. The design enhancement is rounded off by the rear lamps’ silver-white strip, which crosses over into the rear chrome beam. The further refined interior is accentuated by glossy chrome-rings around climate and radio controls as well as new decorative trim on the instrument panel and doors. The Cosmo version features elegant piano lacquer trim on the center console and decorative molding on the steering wheel. The infotainment systems with Navi, CD, DVD and MP3 functions also have stereo connections for external audio equipment, such as an iPod. The Zafira’s “trademark” Flex7 seating system is of course always on board. The unrivalled versatile system ensures fast reconfiguration of the interior without cumbersome removal of the seats. The motto for engines is higher economy and power. With a new 1.6-litre gasoline and two 1.7 CDTI common-rail turbo-diesel engines, the range now boasts further highly-efficient propulsion alternatives. In future, Zafira customers can choose from a total of nine different engines. Their output spectrum ranges from the 94 natural gas hp of the especially economical and environmentally-compatible Zafira 1.6 CNG (Compressed Natural Gas) to the 240 turbo hp of the sporty top model Zafira OPC. With these two engines, Opel also enriches the segment with two innovative variants: the natural gas Zafira with only 138 g CO2 paved the way for this alternative form of propulsion, while the OPC version with 240 hp took over the pioneer role for sport vans. The Zafira model line’s favorable operating costs result from a number of factors including low fuel consumption, low maintenance requirements, long service intervals and above all high value retention. 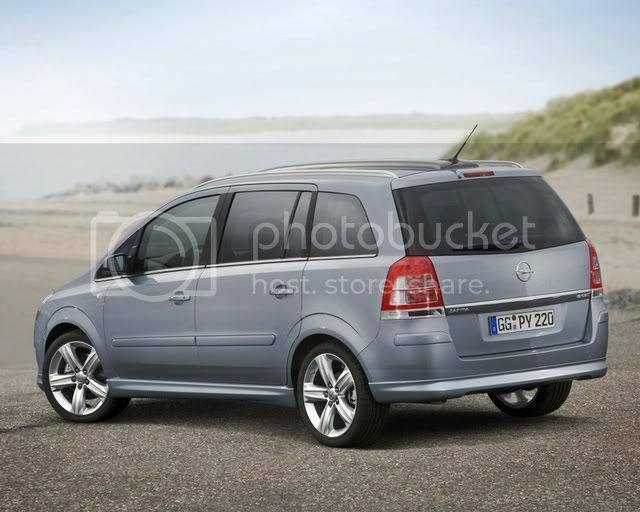 This all helped the Opel van to take first place in the “Best Value 2006” awards. The new, weight-optimized 1.6 ECOTEC with seamlessly controllable intake and exhaust camshafts has output of 85 kW/115 hp. The four-cylinder, four-valve unit replaces the 77 kW/105 hp 1.6-litre engine and consumes just 7.0 litres of fuel per 100 km. This reflects a savings of 4.3 percent compared to the predecessor. At the same time, better driving performance can be achieved thanks to the increased power, which is reflected in the 9 km/h higher maximum speed and acceleration of 13.4 seconds from zero to 100 km/h. The new 1.7 CDTI engines with 81 kW/110 hp and 92 kW/125 hp both come with six-speed manual transmission as standard and feature common-rail injection, four-valve technology with swirl control as well as maintenance-free diesel particulate filter. They replace the 74 kW/100 hp 1.9 CDTI and the manual gearbox version of the 88 kW/120 hp 1.9-litre diesel. With increased torque of 20 and 40 Nm respectively, the 1.7 CDTI units provide noticeably more power while consumption and emissions are reduced. Efficiency is increased by up to 5 percent. Both diesel units require 5.7 litres of fuel per 100 km and emit just 152 g CO2 per km, thats 10g less than the outgoing model which emits 162g. The new edition of the Zafira also offers innovative technological highlights unique in this vehicle class. These include the optional IDSPlus chassis system with electronic CDC (Continuous Damping Control), which provides an exclusive dimension of driving comfort and safety. In this integrated chassis control system, the control units and sensors of ESPPlus, ABS and CDC exchange data constantly, resulting in immediate optimization of chassis fine-tuning. The new edition’s further improved trailer stability control is also far from a matter of course when looking at other brands. The sophisticated system monitors the intensity of yawing motions in the car-trailer combination. Such motions are stabilized by control electronics via regulated brake application. Opel introduced the AFL bi-xenon headlamp system (Adaptive Forward Lighting) with dynamic curve light into the compact van segment. The panorama roof system is a true highlight, further enhancing the pleasant, light atmosphere for the passengers. The power-operated shading system protects against strong sunlight when needed. For practical organization in the interior, the roof console running down the length of the ceiling houses five large drop-down storage compartments. These innovative technological features underline the modern overall concept of the flexible compact van.